Rikiki and the Wizard – This is set in the shared world of Liavek, which I am unfamiliar with, so I didn’t get a whole lot out of it. It was originally published in The Players of Luck. The Princess, The Cat, and the Unicorn – I was already familiar with this story due to its inclusion in The Unicorn Treasury, but I’m very fond of it, so it was nice to bump into it again. It’s set in the same Enchanted Forest as the one in the Enchanted Forest Chronicles, but doesn’t have any of the same characters. However, the story is very similar in style and tone to the series, with another unconventional princess trope-busting her way through an encounter with a unicorn. Roses By Moonlight – A fantasy about fate and choices inspired by the story of the Prodigal Son. The Sixty-two Curses of Caliph Arenschadd – A humorous story about a young woman whose family is cursed with lycanthropy. It was originally published in A Wizard’s Dozen. Earthwitch – I honestly can’t remember this one. The Sword-Seller – This one is set in Andre Norton’s Witch World, which I’m also unfamiliar with, so I didn’t get much out of it either. The Lorelei – As you can probably guess, this is a story about the Lorelei myth of Germany. I remember enjoying it, particularly because it has a teenage girl rescuing a boy, rather than vice versa. Stronger Than Time – A melancholy Sleeping Beauty AU in which the Prince didn’t come. Cruel Sisters – A retelling of the same legend told in Loreena McKennit’s The Bonny Swans. 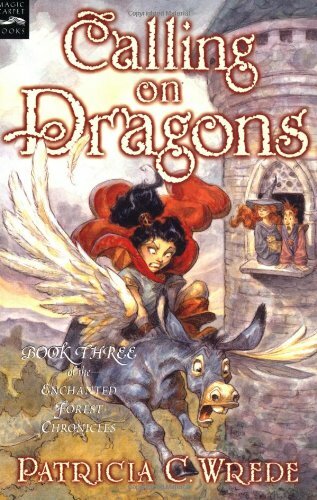 In general, I prefer Wrede’s humorous stories to her more serious ones, so I’d say my favorites were “The Princess, The Cat, and The Unicorn,” “Utensile Strength,” and “The Sixy-Two Curses of Caliph Arenschadd.” However, I enjoyed most of the stories. 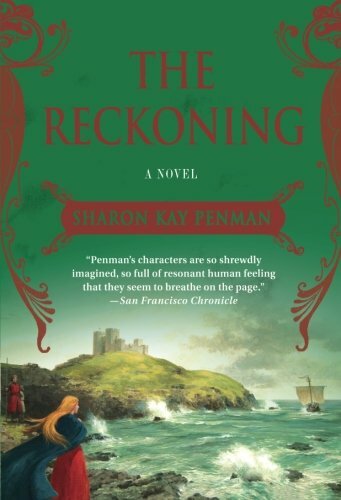 Like the Enchanted Forest Chronicles, it’s also great feminist fiction – nearly all of the stories have female protagonists, with a variety of personalities and skills. There are also several nice depictions of supportive female family relationships and friendships, as well as some that are more dysfunctional. 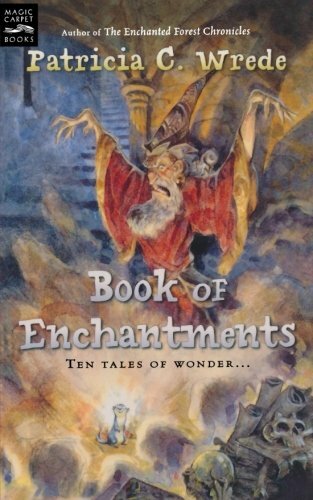 Although several of the stories (especially the Enchanted Forest ones) are suitable for younger audiences, I’d say most of them are better for young adult and adult readers, rather than children. 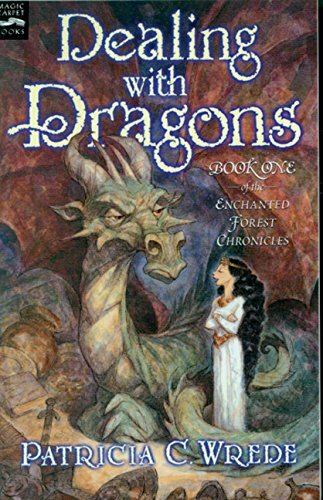 Patricia Wrede’s Enchanted Forest Chronicles is my all-time favorite children’s fantasy series, and one of my favorite comfort reads to this day. This funny and exciting series centers mainly around Cimorene, a very atypical princess who decides to run away from her life in the pleasant but boring kingdom of Linderwall and become a dragon’s princess. 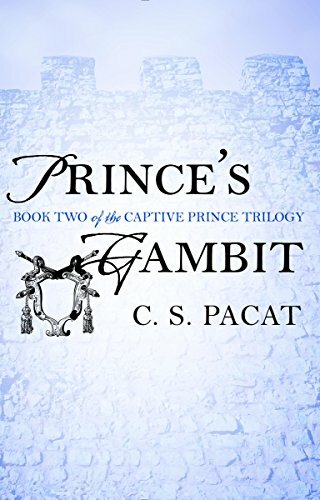 Wrede gleefully and hilariously demolishes fairy tale stereotypes and tropes throughout all four books of the series, but in the end its real attraction is its memorable characters. Cimorene, Kazul, Morwen, Telemain, and the rest are like old friends, and I never fail to be cheered up by dipping into their lives. The Enchanted Forest Chronicles is also great feminist fantasy, as it stars multiple intelligent, powerful, and independent-minded female characters and plays with gender roles in interesting ways. In dragon culture, for example, “King” and “Queen” are the names of positions with distinct duties and responsibilities, and the gender of the dragon who holds them is irrelevant. Over the course of the series, there is both a female King of the Dragons, and a male Queen. It’s also suggested that dragons can choose their gender when they reach a certain age, but this is never explicitly stated. Book one of the series could easily be read as a stand-alone fantasy novel, but I don’t personally see why anybody would want to. It introduces Cimorene, the dragon Kazul, the witch Morwen, and the dastardly wizards, who Cimorene must foil in between whipping up cherries jubilee for Kazul and trying to get rid of the annoying knights and princes who keep interrupting her work to try and rescue her. The wizards are at it again! This time they’ve kidnapped Kazul and Cimorene must set off through the unpredictable Enchanted Forest to rescue her. Luckily, her companion is none other than the King of the Enchanted Forest, Mendanbar. 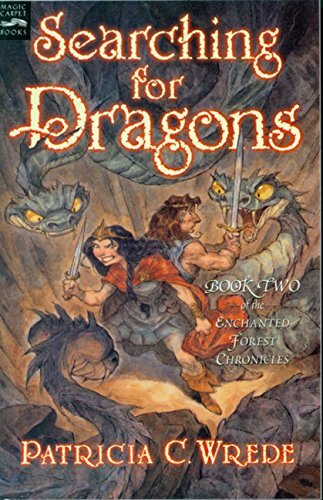 I remember being a little disappointed that the story was told from Mendanbar’s point of view when I first started reading this book at age 10 (or so), but it actually ended up being kind of fun seeing Cimorene, Morwen, etc. from somebody else’s point of view, and though I wouldn’t say Mendanbar is Wrede’s most memorable character, he’s certainly one of the nicest, so I couldn’t dislike him for long. The third book in the series ends on a rather annoying and distressing cliffhanger. 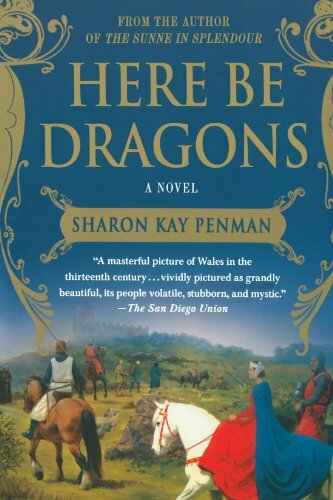 Apparently, the fourth book, Talking With Dragons, was actually the first book to be written and published, so by the time Wrede got around to writing Calling With Dragons, she was already stuck with having to make poor Mendanbar disappear for 17 years while Cimorene raised their son without him. Nevertheless, the book is tons of fun, thanks in part to the fact that its main POV character is Morwen, so you can understand her cats. There’s also a 6 foot 11 inch floating blue donkey with wings named Killer (he used to be a rabbit) and lots of witty repartee to liven things up despite the disappointing conclusion, so I’ve always considered it my second favorite after Dealing With Dragons. A big jump in time and another POV switch, this time to Cimorene’s now 17 year old son Daystar. 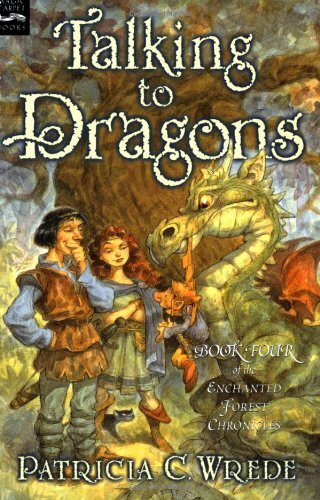 As I mentioned above, Talking With Dragons was the first book in the series to actually be written, and it follows a somewhat more traditional quest format, with poor Daystar being shoved into the Enchanted Forest with inadequate information (although an excellent education) about what he’s supposed to do and having to unravel it along the way. In the process, he runs into many old friends, including Morwen, Telmain, and Kazul, and makes some new friends of his own. 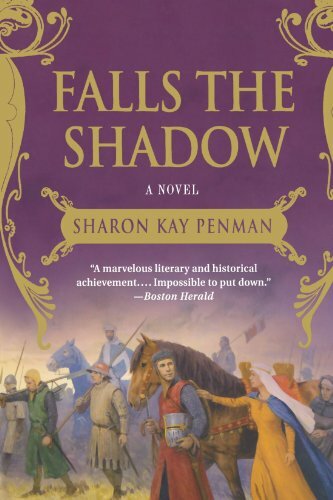 This is another book that originally caught my attention due to the cover, which featured a rather beautiful but blank-eyed teenage boy dressed in white and floating in mid-air. In between the cover and the title, I thought it was going to be some sort of science fiction novel, but the description on the back introduced me instead to a boy named Smitty Tibbs who never speaks and never smiles, and the new girl in town who decides to try and befriend him. Well, I was intrigued, all right, and ended up devouring the novel within a few hours. It’s a very intense read that touches on some serious issues of abuse and neglect. As an adult, I have a little trouble suspending my disbelief that no professional tried to delve deeper into Smitty’s voluntary muteness and refusal to interact socially before a couple of high school seniors started nosing around and trying to break through his shell, but as a teenager I found the book riveting. And really, despite those little niggling doubts about its realism, I’ve continued to enjoy its presence in my periodic re-reading rotation as an adult. Like The Unlikely Romance of Kate Bjorkman, another of my teenage favorites, it benefits from a smart and likable (though flawed) narrator with a set of loving and supportive family relationships and friendships. The central romance is slow to develop and much more complicated than Kate’s thanks to the severity of Smitty’s condition, but sweet to watch as it (and Smitty) finally unfold. 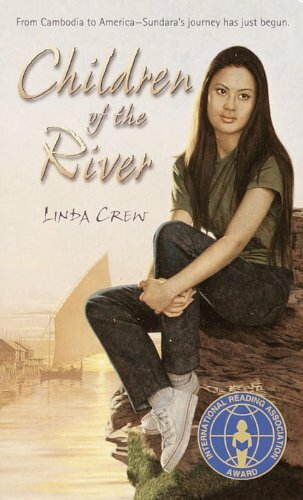 Children of the River is another of my favorite YA romance novels. It tells the story of a Cambodian refugee girl named Sundara who escapes from the killing fields of the Khmer Rouge with her aunt and uncle and flees to America. I’m ashamed to say that before reading it for the first time around age 14 or 15, I knew almost nothing about Cambodia, and nothing at all about Pol Pot and the Khmer Rouge, who were responsible for the death of up to 2 million Cambodians between 1975 and 1979, so it was a very eye-opening book for me. In addition to information about the Cambodian genocide, the novel also has many interesting details about Cambodian customs and traditions, as well as a nuanced depiction of the struggle many immigrants face between preserving their own unique cultures and blending in with mainstream American society. It’s also a very sweet romance. Four years after her escape from Cambodia, Sundara falls in love with an American boy named Jonathan, which creates new complications in her life, as Cambodian culture practices arranged marriage and good Cambodian girls like Sundara are not supposed to go on dates. (Especially not with non-Cambodian boys.) Sundara and Jonathan are both changed by their relationship, and the book has a very satisfying conclusion. 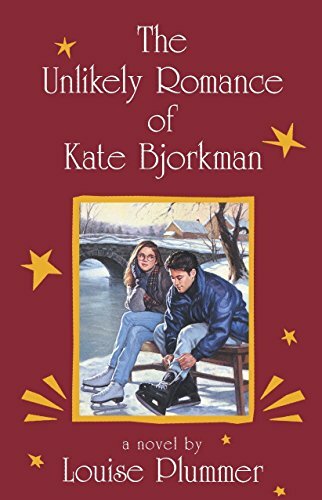 The Unlikely Romance of Kate Bjorkman, by Louise Plummer, is one of my favorite YA romance novels. It’s an extremely witty and tongue-in-cheek read, in large part because of the great use of first-person narration. Kate is a very intelligent and charismatic heroine and she narrates as if writing a romance novel based on her own life, complete with frequent consultation of The Romance Writer’s Phrasebook and hilarious commentary on the bodice ripping descriptions she finds there. 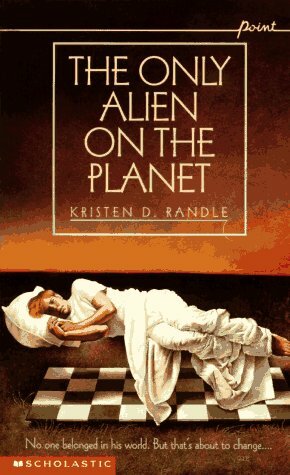 She is also (speaking as a fellow tall, plain-ish nerd with bad eyes) extremely relatable, so I’m sure there was some wish fulfillment involved in my enjoyment of this book when I first read it as a never-been-kissed teenager. However, I’ve found it equally enjoyable as an adult. Another thing I liked and found relatable was the portrayal of Kate’s family. As someone who really didn’t have a rebellious teenage phase and whose relationship with my parents ranged from pretty good to great even at the height of my puberty-induced hormonal moodiness, I really enjoyed the depiction of a loving and mutually respectful parent-teen relationship. (There’s also a great depiction of female-female friendship, in keeping with the book’s feminist themes.) The novel is set over Christmas break in Minnesota, and Kate’s (mostly) happy family life and Swedish Christmas traditions add to the cozy, comforting atmosphere, making it an especially good read for the holiday season or the sorts of days when you don’t feel like doing anything but curling up with a blanket, some tea, and a good book. 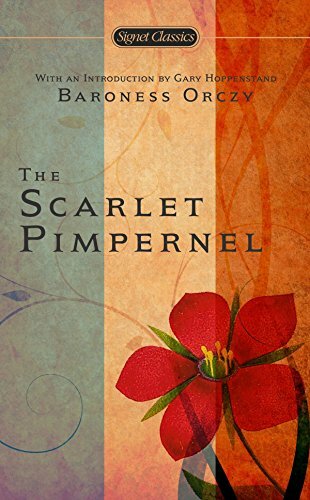 The Scarlet Pimpernel, by Baroness Orczy, is one of my favorite classic adventure novels. 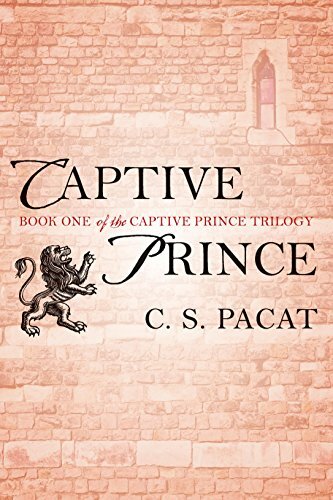 It gets off to a rather slow start, but ratchets up the tension beautifully as the story progresses until it’s practically impossible to put down. I also like that Marguerite, while forced into the role of damsel-in-distress at several points, is nevertheless allowed to be quite clever and resourceful in her own right. For a novel originally published in 1905, she’s an unusually spunky and likable heroine! The Broadway musical soundtrack is enjoyable, but I’ve never seen it on stage.